Another case has been settled regarding Johnson & Johnson's Baby Powder and its possible link to ovarian cancer. 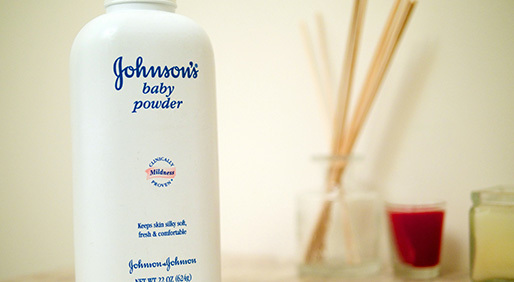 A California woman has been awarded $417 million after alleging that Johnson & Johnson’s talcum-based Baby Powder led to ovarian cancer. The jury award may be the largest yet concerning the product. Eva Echeverria, 63, from Los Angeles, was too sick to testify during the trial, but she sent a video deposition saying she had used the company’s talc-based powder for decades, even after she was diagnosed with ovarian cancer in 2007, according to published reports. When she found out about the product’s potential risks last year, she stopped using it. Echeverria legal team came armed with studies dating back to 1971, when a group of researchers from Wales first saw a correlation between talcum powder and cervical and ovarian tumors. Johnson & Johnson maintains that the product is safe. CURE made several requests for comment from Johnson and Johnson. The company did not respond. Goodrich cited a recent statement made by the National Cancer Institute. “In April, the National Cancer Institute's Physician Data Query Editorial Board wrote, 'The weight of evidence does not support an association between perineal talc exposure and an increased risk of ovarian cancer.' We are preparing for additional trials in the US and we will continue to defend the safety of Johnson's Baby Powder,” she said. The study went on to say, “In 2006, a meta-analysis of 21 studies reported an approximately 35 percent increase in risk with genital exposure to talc and an earlier meta-analysis had similar findings.” But the authors did mention that in still other studies, the results were inconclusive. Echeverria was not the first person to be awarded damages by Johnson & Johnson for talcum powder use, and she may not be the last. In fact, more than 1,000 women in the United States have sued the company claiming that their Baby Powder caused their cancer. This spring, a woman from Virginia was awarded more than $110 million; cases in Missouri ended up in $55 million being awarded to one plaintiff, and $72 million for another who died of ovarian cancer. Not all lawsuits that went to court ended successfully for the plaintiffs. Two cases have been dismissed by a New Jersey judge. In March, a Tennessee woman’s claim was rejected by a jury, and while Deane Berg, of South Dakota, won her case, she was awarded no damages. But Echeverria was undeterred by those outcomes. "This case is especially tragic, as the plaintiff's cancer has reached a terminal stage, and she was too ill to be present for the verdict,” attorney says Sandy A. Liebhard said in a press release. “While no amount of money can make up for her suffering, we believe that this jury has sent a clear message to Johnson & Johnson that its conduct in regards to talc and ovarian cancer was unacceptable,"
Liebhard is a partner at Bernstein Liebhard LLP, a New York-based law firm that represents people across the nation who claim to have been victims of medical devices, drugs and consumer products. The World Health Organization (WHO) deems talc a “possible carcinogen.” A warning label on the product might ease some women’s concerns, but the company is under no obligation to do so. Because the powder is considered a cosmetic product, the FDA has much looser guidelines on what must be included on the labels, compared to the regulations for drugs and medications. More trials are likely to come in the near future, and Johnson & Johnson is preparing to defend its Baby Powder in all of them.